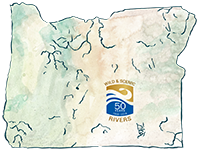 Celebrated by Nate, Chrisy, and Marshall Wilson by boating the Wallowa and Grande Ronde Rivers from July 28-30, 2017. Emily Little: Our spring trip down the Wallowa started at the Minam store. It was a beautiful day and the flows were great for our paddle, around 900 cfs. The first feature we came to was the Minam Roller. Depsite being a fisherman's gaunlet, we were able to play on the wave and get a few good surfs in. A little ways after the Minam Roller, we found another great surf wave. From the start, the canyon was stunning with great ponderosa pine benches offering huge camps, hillsides perfect for grazing elk herds and snags great for hunting bald eagles. 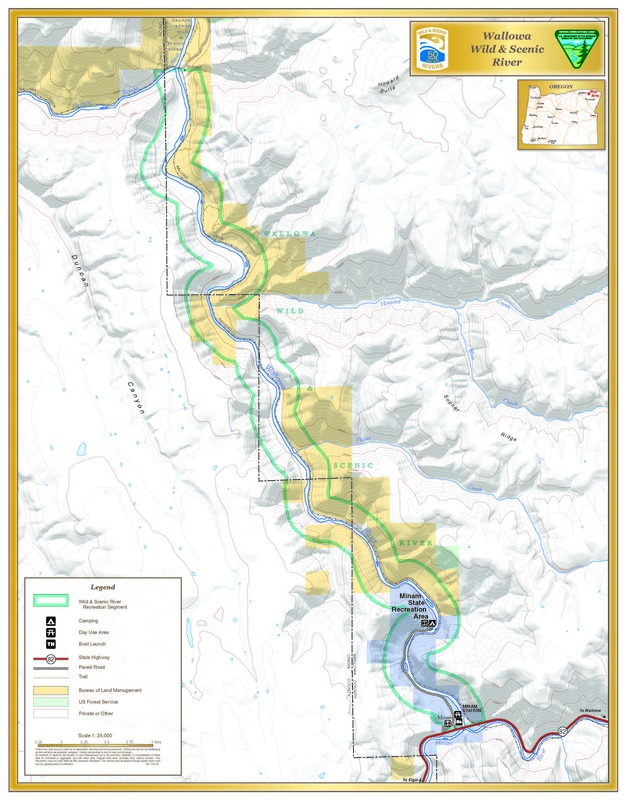 Nate Wilson: Last summer as we approached the Wallowa River from La Grande, OR, our first view of the water was disconcerting because there was not much of it there. Fortunately, the rocky stream bed we saw was actually the Minam River and it was quickly joined by the more robust flows of the Wallowa River around the corner where they meet near the Minam Store. Even in mid summer, this section of the Wallowa River was flowing clear and cold with enough water to ease our loaded down fourteen foot raft through the downstream riffles. During a quick break for lunch, my brother caught a large Rainbow Trout and the rest of us enjoyed a deep hole that helped to take the edge off of the triple digit heat. 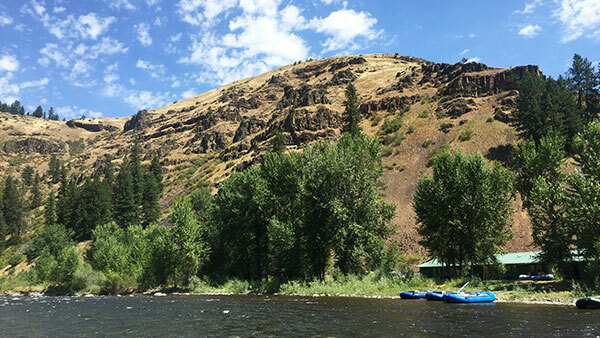 As many people do, our group was continuing on down the Grande Ronde River after floating these last ten miles of the Wallowa before their confluence. 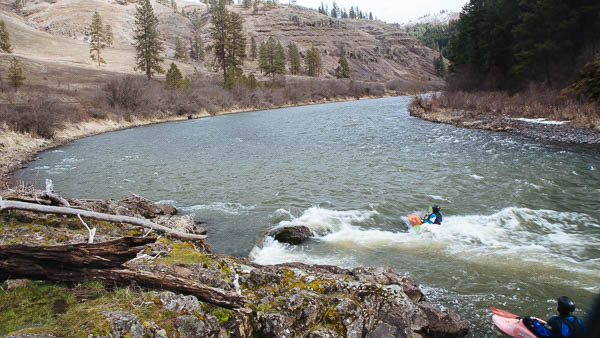 Zach Collier: In 2006 a group of us planned to paddle the Owyhee River but the flows were too high so we headed to the Grande Ronde instead. 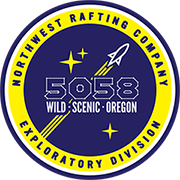 The Grand Ronde was also really high but since it has a lower gradient and wider canyon so we felt it as a great choice. 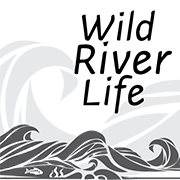 Our Grande Ronde trip began on the Wallowa River at the Minam Store. 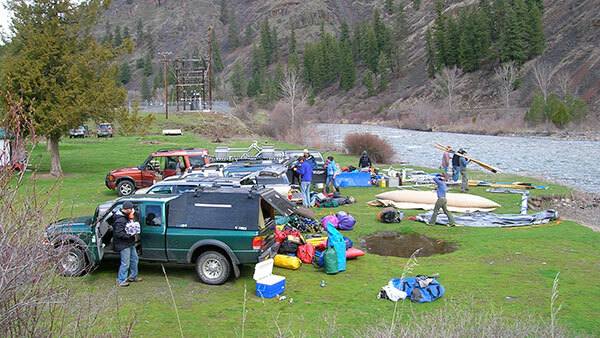 We unloaded our gear and put everything on the river. 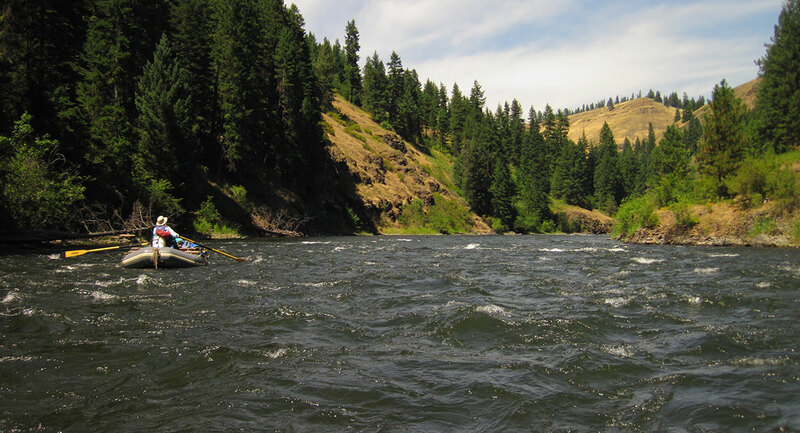 Since the water was high we floated teh 10 miles of the Wallowa in an hour or so and spent our first night camped along the Grande Ronde.